Callebaut, Werner (1993), Taking the Naturalistic Turn, or How Real Philosophy of Science is Done. Chicago/London: University of Chicago Press. 553 pp. Callebaut, Werner and Rasskin-Gutman, Diego (2005), Modularity: Understanding the Development and Evolution of Natural Complex Systems. Cambridge, MA/London: MIT Press.455 pp. [2005; second printing, 2007; paperback edition, 2009]. Callebaut, Werner and Hicks E. K. (1989), Evaluative Proceedings 4S/EASST. Joint Conference of the Society for the Social Studies of Science (4S) and the European Association for the Study of Science and Technology (EASST), Amsterdam, 16-19 November 1988. Amsterdam: SISWO (Netherlands Universities Institute for Coordination of Research in Social Sciences) 120 pp. Callebaut, Werner, Corijn Eric and Corluy Roland (1989 and several reprints), Sociobiologie: een discussiebundel. Brussels:VUB Press. 183 pp. Callebaut, Werner and Pinxten, Rik (1987), Evolutionary Epistemology: A Multiparadigm Program. Dordrecht/Boston: D. Reidel. 458 pp. Callebaut, Werner and Mostert Pieter (1987),Congresbundel Filosofiedag Maastricht 1987. Delft: Eburon. 209 pp. Callebaut, Werner, Cozzens, E. Susan, Lécuyer, Bernard Pierre, Rip, Arie and Van Bendegem, Jean Paul (1984), George Sarton Centennial. Ghent: Communication & Cognition. 493 pp. Callebaut, Werner, De Mey, Marc, Pinxten, Rik and Vandamme, Fernand (1980), Theory of Knowledge and Science Policy, vol. 2. Ghent: Communication & Cognition. Callebaut, Werner, De Mey, Marc, Pinxten, Rik and Vandamme, Fernand (1989), Theory of Knowledge and Science Policy. Ghent: Communication & Cognition. 585 pp. Callebaut, Werner and Collier, John (1997), Biological Information. Biological Theory 1(3), 109. Callebaut, Werner (2006), Issue in Honor of Donald T. Campbell. Evolution and Cognition 3(1), 99. Callebaut, Werner (1997), Donald T. Campbell. Philosophica 60, 150. Callebaut, Werner (1994), Jean Piaget’s Scientific Legacy. Philosophica 54, 136. Callebaut, Werner, Blom Tannelie and Nijhuis, Ton (1989), Modalities and Counterfactuals in History and the Social Sciences. Philosophica 44. Callebaut, Werner (1986),Current Issues in the Philosophy of Biology. Philosophica 37, 160. Callebaut, Werner (1980), Social Indicators and Quality of Life II. Philosophica 26, 175. Callebaut, Werner (1980), Social Indicators and Quality of Life I. Philosophica 25, 114. Callebaut, Werner, De Mey, Marc, Pinxten, Rik and Vandamme, Fernand (1979) Theory of Knowledge and Science Policy. Communication & Cognition 2(3/4). Callebaut, Werner (2012), Scientific Perspectivism: A Philosopher of Scienceʼs Response to the Challenge of Big Data Biology. Studies in History and Philosophy of Biological and Biomedical Sciences. Callebaut, Werner, Griffin, William A., and Laubichler Manfred (2008), Agents, Modeling Processes, and the Allure of Prophecy. Biological Theory 3, 72-78. Callebaut, Werner (2007), Simon’s Silent Revolution. Biological Theory 2, 76-86. Callebaut, Werner (2007),Transcendental Niche Construction. Acta Biotheoretica 55, 73-90. Callebaut, Werner (2005), Again, What the Philosophy of Biology Is Not. Acta Biotheoretica 53, 93-122. Callebaut, Werner (2003), Lorenz’s Philosophical Naturalism in the Mirror of Contemporary Science Studies. Ludus Vitalis 11(20), 27-55. Callebaut, Werner and Stotz Karola (2003), Lean Evolutionary Epistemology. Evolution and Cognition 4, 11-36. Callebaut, Werner (1998), Thomas Kuhn as an Evolutionary Naturalist. Evolution and Cognition 2, 127-138. Callebaut, Werner (1995), Réduction et explication mécaniste en biologie. Revue Philosophique de Louvain 91, 33- 66. Callebaut, Werner (1995), The Future of Naturalistic Philosophy of Science. Ludus Vitalis 3(5), 19-52. Callebaut, Werner (1995) The Normative Issue in Naturalistic Philosophy of Science. Theoria (Revista de Teoría, Historia y Fundamentos de la Ciencia) 10(22), 101-116. Callebaut, Werner (1994), Piaget Among the Evolutionary Naturalists, anno 1995. Philosophica 54, 111-140. Callebaut, Werner (1991), Darwinisme in de sociale wetenschappen. Wijsgerig Perspectief 32(4), 117-121. Callebaut, Werner, Blom, Tannelie and Nijhuis, Ton (1989), Modalities and Counterfactuals in History and the Social Sciences: Some Preliminary Reflections. Philosophica 44, 3-14. Callebaut, Werner (1987), Why It Makes Sense to Extend the Genotype-Phenotype Distinction to Culture. La Nuova Critica (N.S.) 1-2, 63-83. Callebaut, Werner (1980) Philosophical Aspects of Social Indicators and Quality of Life Research: Some Tentative Conclusions. Philosophica 26, 161-177. Callebaut, Werner (1978), Practical Rationality from an Evolutionary Perspective. Philosophica 22, 119-166. Callebaut, Werner (1978), Social Indicators Research and the Theory of Collective Action. Philosophica 21, 159- 197. Callebaut, Werner and Hernández Chávez, Paola (2010), Epistemología Naturalizada. Una Visión Panorámica. In: J. Labastida y V. Aréchiga (coords.) Identidad y Diferencia, vol. 3, La Filosofía y la Ciencia, (pp.138-155). Mexico D.F. 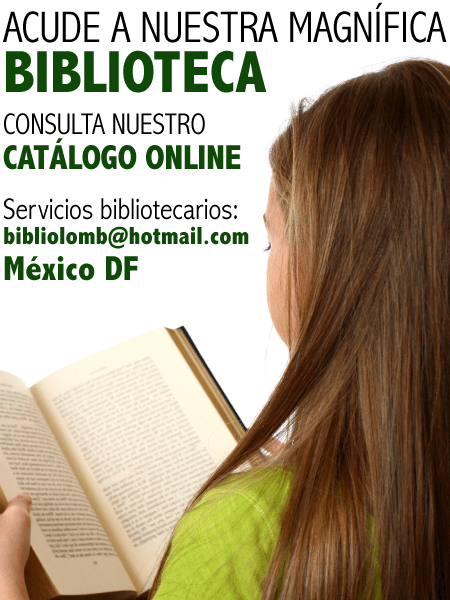 : Siglo XXI Editores en coedición con la Asociación Filosófica de México. Callebaut, Werner (2010), The Dialectics of Dis/Unity in the Evolutionary Synthesis and Its Extensions. In: M. Pigliucci and G. B. Müller( eds.) Evolution: The Extended Synthesis, (pp. 443-481). Cambridge, MA: MIT Press. Callebaut, Werner (2009), Multi-scale phenomena in biology and scientific perspectivism. In: R. M. Sinclair and K. M. Stiefel (eds.) Multiscale Phenomena in Biology. Proceedings of the 2nd Conference on Mathematics and Biology, Okinawa, Japan, 4-6 November 2008, (pp. 57-69). Melville, NY: American Institute of Physics Conference Proceedings. Callebaut, Werner (2009), Innovation from EvoDevo to Culture. In: M. J. O’Brien and S. J. Shennan (eds.) Innovation in Cultural Systems: Contributions from Evolutionary Anthropology, (pp. 81-95). Cambridge, MA: MIT Press. Callebaut, Werner, Müller, Gerd B. and Newman A., Stuart (2007), The Organismic Systems Approach: Evo-Devo and the Streamlining of the Naturalistic Agenda. In: R. Sansom & R. N. Brandon(eds. ), Integrating Evolution and Development: From Theory to Practice, (pp.25-92). Cambridge, MA: MIT Press. Callebaut, Werner and Krohs, Ulrich (2007), Data Without Models Merging With Models Without Data. In: F. C. Boogerd F. J. Bruggeman, J.-H. S. Hofmeyer, and H. V. Westerhoff (eds. ), Systems Biology: Philosophical Foundations, (pp.181-213). Amsterdam: Reed-Elsevier. Callebaut, Werner (2005), The Ubiquity of Modularity. In: W. Callebaut and D. Rasskin-Gutman(eds. ), Modularity, (pp. 3-26). Cambridge, MA: MIT Press. Callebaut, Werner (1998), Self-organization and optimization: Conflicting or complementary approaches? In: G. Van De Vijver, S. N. Salthe, and M. Delpos (eds.) Evolutionary Systems: Biological and Epistemological Perspectives on Selection and Self-organization, (pp. 79-100). Dordrecht/Boston/London: Kluwer. Callebaut, Werner (1996), Leo Apostel als naturalistische wetenschapsfilosoof. In: D. Batens (ed. ), Leo Apostel: Tien filosofen getuigen, (pp. 107-118). Antwerpen/Baarn: Hadewych. Callebaut, Werner (1997), Waarom wetenschap geen literatuur is. In J. Vandormael (red.) Ik & het verhaal, 47-83. Hasselt: Woord en Argument. Callebaut, Werner (1995), Science Dynamics: The Difficult Birth of a Metascience. In: H. Stachowiak(ed.) Pragmatik: Handbuch pragmatischen Denkens, vol. 5, Pragmatische Tendenzen in der Wissenschaftstheorie, (pp. 1-29). Hamburg: Felix Meiner. Callebaut, Werner (1991), Realisme en evolutie. In: J. Van Brakel and D. Raven (ed.) Realisme en waarheid, (pp.140- 160; 180-202). Assen/Maastricht: Van Loghum Slaterus. Callebaut, Werner (1990), Temps et épistémologie: Remarques sur une variable absente en philosophie des sciences. In: G. Thill, B. Feltz et D. Lambert, (eds. ), Symposium d’épistémologie de la cybernétique. Actes du 12ème Congrès international de Cybernétique, Namur, août 1989. Namur: Association Internationale de Cybernétique. Callebaut, Werner (1989), Post-Positivist Views of Scientific Explanation. In: J. Duchêne, G. Wunsch, and E. Vilquin (eds.) Explanation in the Social Sciences: The Search for Causes in Demography, (pp.141-196). Bruxelles: Ciaco. Callebaut, Werner (1989) ‘I Had Not Supposed, Sons, that We Were on Such Familiar Terms with Nature…’: The Labor Pains of Evolutionary Epistemology. In: Congrès européen de Systémique – European Congress on System Science CES 1, vol. 2, (pp. 1060-1069). Lausanne: CES (Congrès Européens de Systémique). Callebaut, Werner (1989), Verklaring en reductie: een post-Kuhniaans aggiornamento. In Congresbundel Filosofiedag Antwerpen 1988, (pp.196-201). Delft: Eburon. Callebaut, Werner (1988), Biologie en biologisme: enkele wetenschapsfilosofische kanttekeningen bij het sociobiologiedebat. In: W. Callebaut et al. Sociobiologie, (pp. 150-167). Brussels: VUB Press. Callebaut, Werner and Pinxten, Rik (1987) Evolutionary Epistemology Today: Converging Views from Philosophy, the Natural and the Social Sciences. In: W. Callebaut and R. Pinxten (eds.) Evolutionary Epistemology, (pp. 3-54). Dordrecht: D. Reidel. Callebaut, Werner (1984), The Scientific Enterprise as a Distributed Problem-Solving System. In: F. Vandamme (ed.) Symposium, Representation, Use and Acquisition of Knowledge or the Manufacture of Knowledge, (pp. 76-84). Namur: Association Internationale de Cybernétique. Callebaut, Werner (1982) Reduction Reassessed. In: The Dialectics of Biology Group In: Steven Rose (gen. ed. ), Against Biological Determinism, (pp.151-176). London/New York: Allison & Busby. Callebaut, Werner and Van Bendegem, Jean Paul(1982) The Distribution Approach to Problem-Solving in Science: Prospects for General Systems Methodology. In: R. Trappl (ed.) Cybernetics and Systems Research, (pp.51-56). Amsterdam/New York: North-Holland. Callebaut, Werner (1981), Inequality in the Light of Social Indicators and Quality of Life Research. In: L. Ingber (red.) Gelijkheid, vol. 6, (pp. 95-136). Brussel: Bruylant. Callebaut, Werner, Apostel, Leo, Pinxten, Rik and Vandamme, Fernand (1980), General Conclusion. In: W. Callebaut et al.(eds.) Theory of Knowledge and Science Policy, vol. 2, (pp. 215-217). Ghent: Communication & Cognition. Callebaut, Werner and Van Bendegem, Jean Paul (1980), Science and Technology Policy Research for Development: A Research Proposal. In: W. Callebaut et al. (eds.) Theory of Knowledge and Science Policy, vol. 2, (pp.189-203). Ghent: Communication & Cognition. Callebaut, Werner and Apostel, Leo (1978) Classification et typologie en démographie. In: Typologies et Classifications en démographie, (pp. 7-63). Liège: Ordina. Callebaut, Werner (2005), Survival of the fittest (idea)? Hoe wetenschap vordert. In: I. Tallon, M. Briga, G. Moens, D. Monballiu, and C. Van Woensel, (red. ), Evolutie vandaag: hoe de dingen ontstaan en waarom ze veranderen, (pp. 219-237). Brussels: VUB Press. Callebaut, Werner (2002), Recente ontwikkelingen in de neurowetenschappen en hun socio-ecologische implicaties. ‘t Virghaal 7(2), 6-7. Callebaut, Werner (1996), Evolutionair humanisme en naturalisme: Een darwinistische filosofie voor de 21ste eeuw. Mores 41, 253-262. Callebaut, Werner (1995), De mens, kroonstuk van de evolutie? De Geus van Gent 27(9), 16-18. Callebaut, Werner (1994), Inleiding over de methode van Grond voor keuzen en het verband met een analyse van technologische besluitvorming. In: A. Van Den Bulck en H. De Kuyper (eds.) Verslag van de studiebijeenkomst probleemoplossen in de ruimtelijke ordening, 13 januari 1994, (pp.13-26). Tilburg: PON (Instituut voor Advies, Onderzoek en Ontwikkeling in Noord- Brabant). Callebaut, Werner (1991),Ontstaan en vergaan van wetenschappelijke theorieën. In: Congresbundel Tweede Vlaams Congres Natuurwetenschappen, (pp.1-14). Brussel: Ministerie van de Vlaamse Gemeenschap, Departement Onderwijs. Verklaring en reductie: een post-Kuhniaans aggiornamento. OMWEG – Tijdschrift voor wijsbegeerte en ethiek 8: 27-36. Callebaut, Werner (1989),Naturalistische epistemologie en psychotherapie. In: A. Mattheeuws en D. Baert (ed.) De psychoterapeut als wisselagent tussen geestelijk gezond en geestelijk gestoord. Verslagboek van de Studiedag, gehouden op 29 april 1988, (pp. 7-50, 128-129, 131). Antwerpen: Vereniging Systeemtheoretische Psychologie. Callebaut, Werner (1988), The Return of the Zofs. WO Nieuwsnet, 5, 1-10. Why, We Were Just Beginning to See the Light! WO Nieuwsnet, 3, 2-15. Callebaut, Werner (1987), Vers une épistémologie biologique? La philosophie aujourd’hui: questions disputées no. 34 Liège: Université de Liège. 18. Callebaut, Werner (1987), Het genotype-fenotype onderscheid als werkinstrument voor de evolutionaire wetenschapsonderzoeker. In: W. Van Rossum, E. K. Hicks en J. C. M. Van Eijndhoven (eds. ), Onderzoek naar wetenschap, technologie en samenleving, (pp. 32-36). Amsterdam, Stichting Interuniversitair Instituut voor Sociaal Wetenschappelijk Onderzoek. Callebaut, Werner (1987), Omtrent evolutionaire epistemologie. L.U. Nieuws 6(6), 8-11. Callebaut, Werner (1986), De nieuwe wetenschapsfilosofie. Muziek en Woord 12(145): 35-36. Callebaut, Werner (1986), Is de eenheidswetenschap dood? Reflecties over reductionisme. In: Jaarboek ADECHO 1985, (pp.116-136). Brussel: Administratieve en Economische Hogeschool. Callebaut, Werner (1984), Openbaarheid van wetenschap in het gedrang. L.U. Nieuws 4(3), 5-8. Callebaut, Werner (1984), Prigogine: de uitdaging van de geordende complexiteit. L.U. Nieuws 3(7), 3-6. Callebaut, Werner (1982), Filosofische en maatschappelijke beschouwingen over ecologie. In M. Goossens en D. Vanderhallen (ed.) Ecologische vorming in het Secundair Onderwijs: Een multidisciplinaire benadering, (pp.8-22, 47-54). Leuven: Katholieke Universiteit, Centrum voor Beroepsvervolmaking Vliebergh-Sencie. Callebaut, Werner (1982), Evolutionaire epistemologie: Enkele kritische en constructieve overwegingen. Ghent: Communication & Cognition, Working paper no. 63. 72 pp. Callebaut, Werner (1980) Het wetenschapsbedrijf. De Nieuwe no. 938 (15 April), 12 pp. Callebaut, Werner (2010), Risky Business [Editorial]. Biological Theory 5, 100. The Moody’s Virus Attacks the U.S. National Science Board [Editorial]. Biological Theory 5, 1-2. Callebaut, Werner (2009), Not the Only Game in Town [Editorial]. Biological Theory 4, 107-111. Callebaut, Werner (2008), Fractals and Multi-scale Modeling in Biology [Editorial]. Biological Theory 3, 291-292. Callebaut, Werner and Laubichler, D. Manfred (2008), Formalizing Biology [Editorial]. Biological Theory 3, 1-2. Callebaut, Werner and Laubichler, D. Manfred (2007), “General Biology” Old and New: The Challenges Facing Biological Explanation [Editorial]. Biological Theory 2, 329-330. Callebaut, Werner and Laubichler, D. Manfred (2007), From Cells to Systems: Conceptual Abstractions of Biological Building Blocks [Editorial]. Biological Theory 2, 117-118. Callebaut, Werner and Laubichler, D. Manfred (2007), Biocomplexity as a Challenge for Biological Theory [Editorial]. Biological Theory 2, 1-2. Callebaut, Werner, Caporael, Linnda, Hammerstein, Peter , Laubichler, D.Manfred and Müller, Gerd B. (2006), D-618 [Editorial]. Biological Theory 1, 331-332. Callebaut, Werner, Caporael, Linnda, Hammerstein, Peter, Laubichler, D.Manfred and Müller, Gerd B. (2006), The Problem of Origins. [Editorial] Biological Theory 1, 111. Callebaut, Werner and Collier, John (2006), Biological Information. [Editorial] Biological Theory 1, 221-223. Callebaut, Werner, Caporael, Linnda, Hammerstein, Peter, Laubichler, D.Manfred and Müller, Gerd B. (2006), Risking Deeper Integration [Editorial]. Biological Theory 1, 1-3. Callebaut, Werner (2006), Vorwort. In: Thomas Sukopp, Naturalismus: Kritik und Verteidigung erkenntnistheoretischer Positionen. [Preface] (2 pp.) Frankfurt am Main: Ontos Verlag. Callebaut, Werner and Rasskin-Gutman, Diego (2005), [Preface and section introductions] (“Evo-Devo: The Making of a Modular World,” “Evo- Patterns: Working Toward a Grammar of Forms,” and “Modularity of Mind and Culture”) In: W. Callebaut and D. Rasskin-Gutman (eds.) Modularity, xv-xvi, (pp. 29-32, 181-183, 305-308). Cambridge, MA: MIT Press. Callebaut, Werner and Riedl, Rupert (1997), [Preface] In: W. Callebaut and R. RIEDL (eds.) Issue in Honor of Donald T. Campbell, Evolution and Cognition 3, 2-4. Callebaut, Werner (1997), [Introduction]. In W. Callebaut (ed.) Donald T. Campbell, Philosophica 60, 5-11. Callebaut, Werner (1994), [Introduction]. In W. Callebaut (ed.) Jean Piaget’s Scientific Legacy, Philosophica 54, 5-7. Callebaut, Werner and Wachelder, Joseph (1991), Teleo-theologie und kein Ende. [Commentary] Kennis en Methode 15(2), 218-223. Callebaut, Werner and Hicks, Esther K. (1989), [Preface and Introduction]. In: Evaluative Proceedings 4S/EASST 1988, v, 1-4. Amsterdam: SISWO. Callebaut, Werner, Corluy, Roland and Corijn, Eric (1989), Ten geleide. In: W. Callebaut et al., Sociobiologie, (pp. 5-7). Brussels: VUB Press. Callebaut, Werner, Pinxten, Rik (1987), [Preface]. In: W. Callebaut & R. Pinxten (eds.) Evolutionary Epistemology, vii-xii. Dordrecht: D. Reidel. Callebaut, Werner (1986), [Introduction]. In: W. Callebaut (ed.) Current Issues in the Philosophy of Biology, Philosophica 37, 3-10. Callebaut, Werner (1982), Halfslachtigheid is nooit revolutionair. Kritische bemerkingen bij Eric Corijn, ‘Ekologie Versus Marxisme?’ (Toestanden 1:1 (11-25, 1981). [Commentary] Toestanden 2(8), 82-86. Callebaut, Werner (1980), [Introduction.] In: W. Callebaut (ed.) Philosophical Aspects of Social Indicators and Quality of Life Research II, Philosophica 26, 3-6. Callebaut, Werner (1980), [Introduction]. In W. Callebaut (ed.) Philosophical Aspects of Social Indicators and Quality of Life Research I, Philosophica 25, 3-4. Callebaut, Werner (2008), Campbell, Donald Thomas. In: N. Koertge (ed.) New Dictionary of Scientific Biography, Vol. 2, 22-29. New York: Gale – Charles Scribner’s Sons. Callebaut, Werner (1989), Hiérarchie. Idéalisation. Réduction. In: Encyclopédie Philosophique Universelle – Les notions philosophiques – Dictionnaire, vol. I., 1139; vol I., 1194; Vol. II, 2194. Paris: Presses Universitaires de France. Callebaut, Werner and Stotz, Karola (1998), [Review of the book Mapping Reality: An Evolutionary Realist Methodology for the Natural and Social Sciences by Jane Azevedo] American Journal of Sociology 103, 1768-1770. (Albany, NY: State University of New York Press, 1997). Callebaut, Werner and Stotz, Karola (1997), The Place of Mechanisms in a World of Functions. [Review of the Symposium Complexity and the Function of Mind in Nature by Peter Godfrey-Smith], Metascience no. 12, 20-31. (Cambridge: Cambridge University Press, 1996). Callebaut, Werner (1989), Te jong voor vaste verkering? [Review of Evolutionary Theory in Social Science by M. Schmid and F. Wuketits (eds.)] Kennis en Methode 13, 263-269. (Dordrecht, D. Reidel, 1987). Callebaut, Werner (1981), [Review of Models of Thought by Herbert A. Simon] Philosophica 28, 119-225. (New Haven, CT: Yale University Press, 1979). Callebaut, Werner (2007), Modeling Organisms. Biological Theory 2, 209-210. Callebaut, Werner (2006), Epigenetic developments. Biological Theory 1, 108-109. Callebaut, Werner (1989), Philosophy and Humanities (with Henk Bodewitz and Hans Radder). In: E. K. Hicks and W. Callebaut, Evaluative Proceedings 4S/EASST, 67-78. Amsterdam: SISWO. Callebaut, Werner (1980), Theory of Knowledge and Science Policy. Tijdschrift voor Sociale Wetenschappen 23, 312-313. Callebaut, Werner, Bechtel, Willliam, Griesemer, James R. and Schank, Jeffrey C. (2006), Bill Wimsatt on Multiple Ways of Getting at the Complexity of Nature. Biological Theory 1, 213-219. Callebaut, Werner (1982), Jean Piaget en het marxisme: Een vraaggesprek met Leo Apostel. Psychologie en Maatschappij 21, 553-573. Callebaut, Werner (1982), Jean Piaget en het marxisme: Een vraaggesprek met Leo Apostel. Toestanden 2, 39- 66. Callebaut, Werner and Höfte, Marieke (1988), Wegwijs in de sociobiologische literatuur. In: W. Callebaut et al., Sociobiologie, 168-173. Brussels: VUB Press. Callebaut, Werner, Campbell, Donald T. and Heyes, Cecilia M. (1987), Evolutionary Epistemology [Bibliography]. In: W. Callebaut & R. Pinxten (eds.) Evolutionary Epistemology: A Multiparadigm Program, 405-431. Dordrecht: D. Reidel. Callebaut, Werner (1980), [Bibliografie]. In: H. Van Den Enden et al., Marxisme van de hoop, Hoop van het Marxisme: Essays over de filosofie van Ernst Bloch, 221-237. Bussum: Het Wereldvenster. Callebaut, Werner, Contributions on philosophy of science and science policy to the radio programs “Symposium” (Radio 3, Flemish Public Radio), e.g., “Evolutionaire kentheorie” (1984) “George Sarton Centennial” (1985), “De nieuwe wetenschapsfilosofie,” “Henry Plotkin,” “Reductionisme,” and “Sociobiologie” (1986), “Jon Elster”, “De metafysische betekenis van Darwins revolutie,” and “Dudley Shapere” (1987); and “Eenhoorn” (Radio 1, Flemish Public Radio), 1992.